New! A fun, fast-paced, starter tutorial for young Catholic filmmakers, covering script writing, pre-production, planning, casting, location scouting, cameras, lights, sound, working with actors, editing, and more! 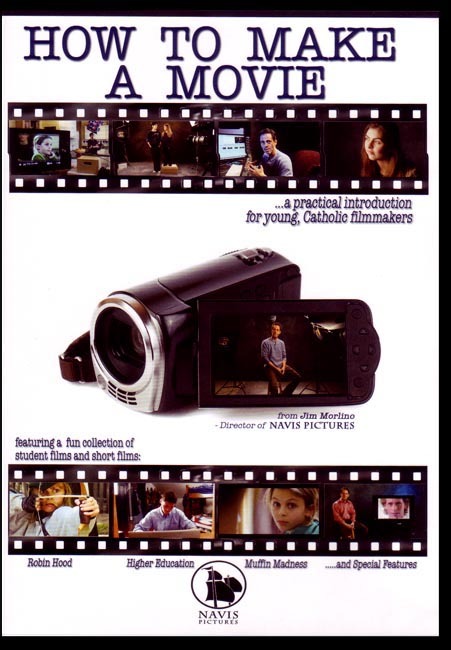 Aimed at the young Catholic student, but with something for anyone interested in getting started making movies! Plus an entertaining collection of short films, student films, and examples of other forms of media production - all on one DVD - which includes: Robin Hood The Good Spirit of Sherwood, Higher Education, Muffin Madness, and more!